Many visitors are happily surprised, if not shocked, when they check into one of Inkaterra’s luxury properties in Peru like the Inkaterra Machu Picchu Pueblo Hotel to discover it contains the world’s largest collection of native orchid species (372) in the world and an Andean Spectacle Bear Rescue Project. Or to learn that they are sleeping in one of Cusco’s most historic and meticulously restored XVIth century mansions, the same very place Simon Bolivar once called home, when arriving to Inkaterra La Casona. Most guests learn, only upon arrival, that their Inkaterra luxury hotel (usually chosen due to rave reviews, luxury hotel association affiliations and glossy travel literature or awards) is actually integral to the broader aims of the non-profit Inkaterra Association (ITA). 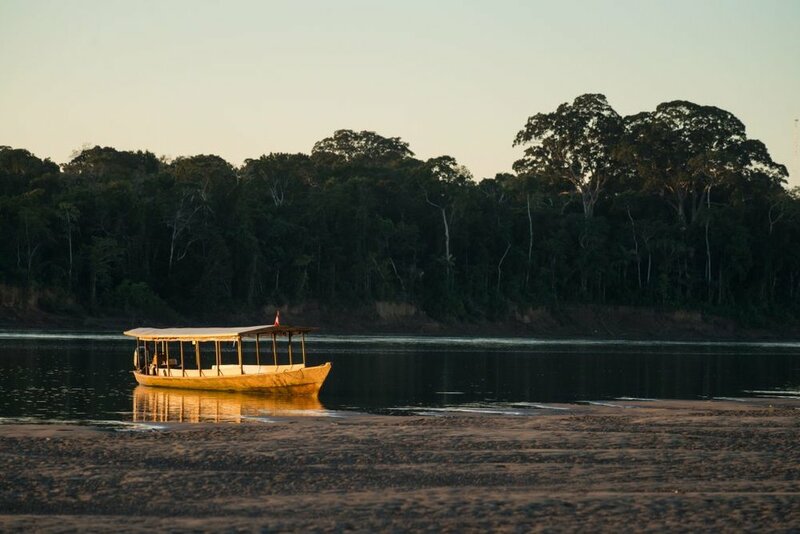 The Inkaterra Association is self-funded through ecotourism profits and is committed to scientific research as a basis for biodiversity conservation, education and the preservation of Peruvian culture and history. Guests staying at Inkaterra properties not only support ITA by funding this vital work through their hotel choice, but in turn, their experiences staying at these properties are enhanced by learning about the rich cultural and natural heritage that Peru contains, the threats facing its well-being, and the steps ITA is taking to confront them. It’s the “ah-ha” moment where luxury travelers turn into eco-tourists and begin to seek out, on future travels, properties and experiences that are not just extremely well appointed, but are also educational, interactive and focused on giving back. Understanding that today’s travelers, or those turned on to this style of travel from previous stays, are now, at the outset seeking out a more experiential style in their hotel choices, as opposed to solely tangible luxury amenities – Inkaterra has opened the doors of its Inkaterra Guides Field Station, deep in the Southern Peruvian Amazon, to guests. Less refined in infrastructure and amenities than Inkaterra’s other two, well-heeled, neighboring Amazon Lodges, Hacienda Concepcion and Reserva Amazonica – The Inkaterra Guides Field Station was built and still functions as an educational and scientific field station for visiting scientists, volunteers and students. And as the name implies, it is where Inkaterra’s own explorer guides are trained in managing ecological projects, gain knowledge of the different Peruvian ecosystems and in guiding skills to be applied in work at any of Inkaterra’s properties throughout Peru. Although still able to experience the popular tourist excursions provided by the other two Inkaterra Lodges in the area, such as the Inkaterra Canopy Walkway or the numerous trail networks – guests at the Inkaterra Guides Field Station get special behind the scenes access and the opportunity to participate in and learn of the ongoing projects at the field station such as the maintenance and creation of the bio-orchard of native edible plants, the “palmetum” which conserves a diverse sample of native palms, bird monitoring through techniques such as banding for codification of species and the monitoring and identification of fauna through a network of digital trap cameras around the property. Through recently opening the Inkaterra Guides Field Station to regular eco-concious guests in search of a hands-on experience, Inkaterra has come full circle in their mantra of spreading “conservation through tourism”. The educational aspect of staying at their other more well-known luxury properties around Peru is not just an enhancement here, it is a fully integrated experience for those seeking out a transformational travel experience. Accommodation is provided in either 2 or 4 person cabanas or in one of two shared dormitory style pavilions. All meals and choice of guided excursions with a bilingual explorer guide, as well as motorized dugout canoe transfers to and from Puerto Maldonado airport (PEM) are included in the rates. (Other optional excursions are available at additional cost) Puerto Maldonado is serviced by numerous daily direct flights from both Lima and Cusco. The Tambopata National Reserve is one of the last easily accessible virgin tropical rainforests in the world. The Reserve, a 768,774 acre area, offers a wealth of biodiversity, as well as magnificent natural landscapes. Puerto Maldonado, known as the “Capital of Biodiversity,” is the largest city of the Tambopata region. Overlooking the confluence of the Tambopata and Madre de Dios Rivers, Puerto Maldonado is 1,312 feet above sea level, 404 miles from Cusco, and 9 miles upriver from the Inkaterra lodges. Older PostSummer Trips that Transform - Soak in the Stark Beauty of the Atacama Desert & Save in "Shoulder Season"